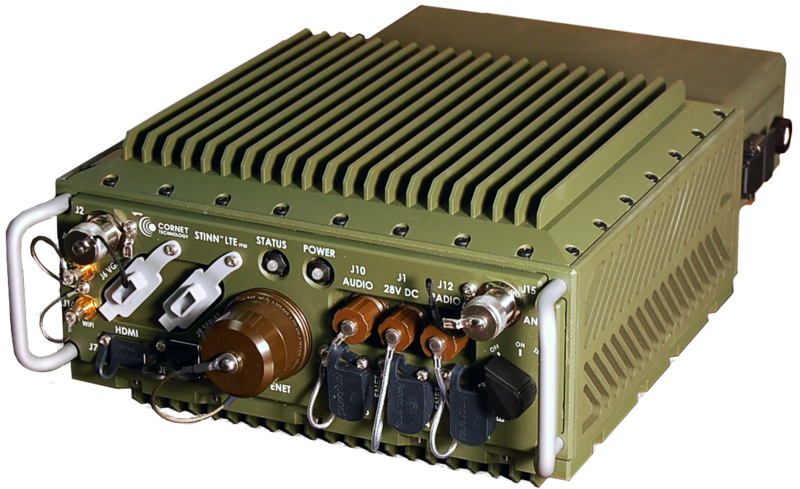 Smaller, lighter, easier to install, operate, and maintain, Cornet’s flagship Military LTE base station, STINN LTEmp is a quantum leap forward in 4G LTE manpack technology (eNodeB and EPC) for dismounted and vehicle operations. STINN LTEmp, a quickly deployable LTE service, overcomes the challenges of connecting operators and first responders to an IP network, anytime and anywhere in the world to provide critical voice, video, data, and Position Location Information (PLI) services for improved Command, Control (C2) and Situational Awareness (SA). The STINN LTEmp contains an Intel i7 quad core processor capable of virtualization and hosting a number of customer applications. STINN LTEmp delivers both an LTE network, as well as a computing framework at the edge without the need for backhaul. 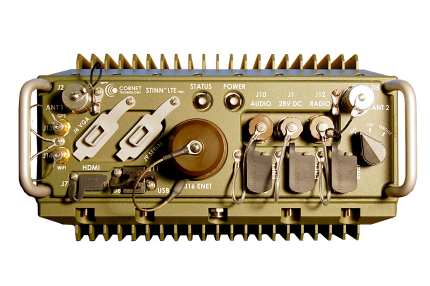 STINN LTEmp can be deployed in a variety of System configurations based on terrain, CONOPS and other mission factors. It supports different types of antenna configurations and AC or DC power sources based on mission. The STINN LTEmp is subject to EAR regulations.